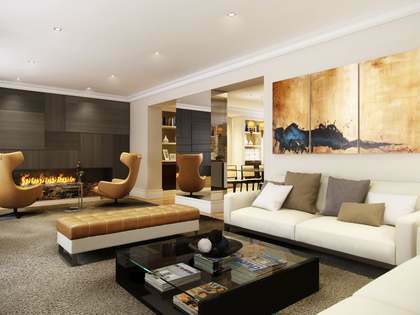 This property is part of the Fernando VI Properties. 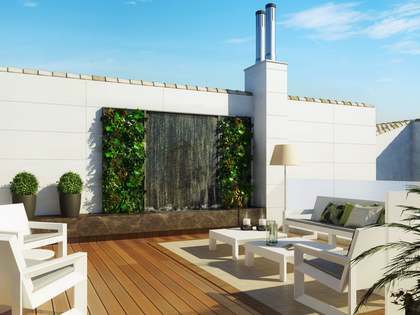 Penthouses and apartments of 3 and 4 bedrooms on the charming, leafy street of Fernando VI, in a brand new development in justicia, one of the most sought after areas of Madrid City. 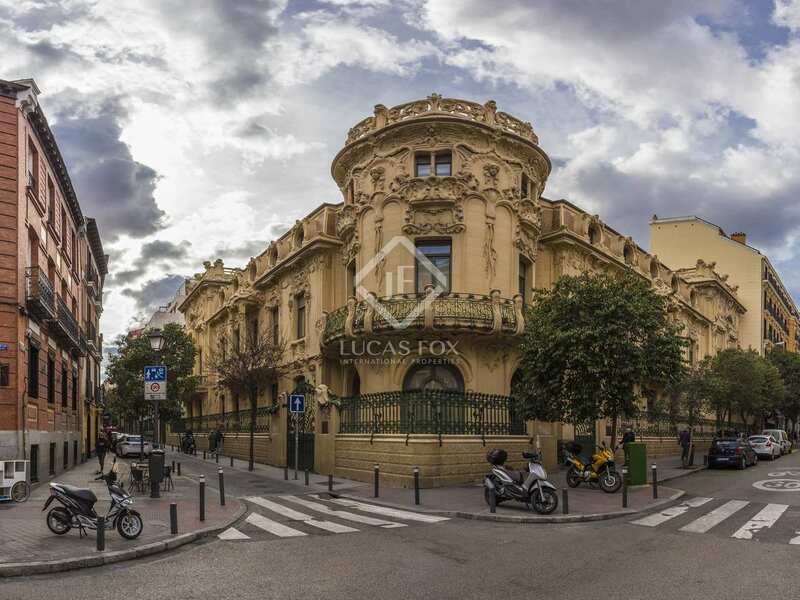 In an elegant building on Calle Fernando IV with a restored classic façade and sensational communal facilities, we find this impressive penthouse property for sale. 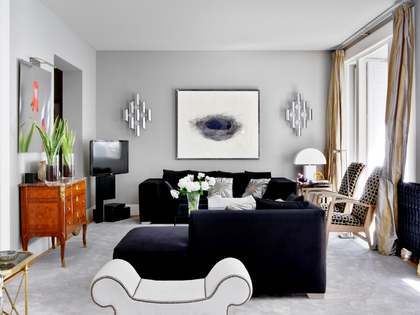 This penthouse measures a generous 266 m² with a 71 m² private terrace. The main door opens onto a hallway, to one side are the living areas, straight ahead are the kitchen facilities, and at the other end of the apartment there are the sleeping quarters. Upstairs in the penthouse we find the master bedroom. Each of the 4 bedrooms in this property have their own en-suite bathroom and there is a fifth guest toilet. The development also boasts fantastic communal facilities, such as a community club house with gym, wine cellar, spa and sauna. Each unit has the option to acquire 2 parking spaces for an additional fee. 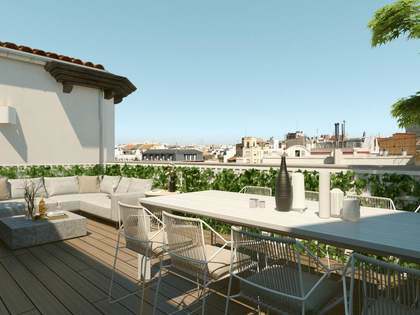 An exquisite penthouse with a large private terrace on one of the most prestigious streets in Madrid city. 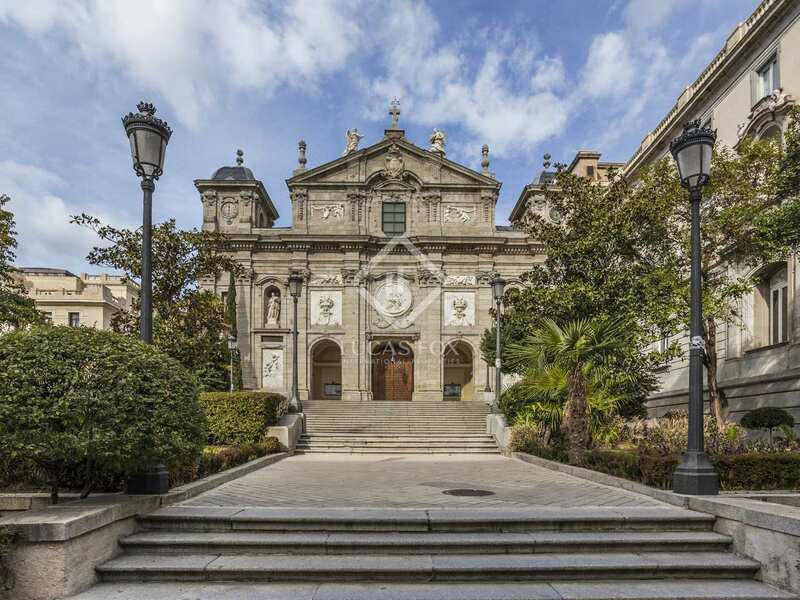 The property also has been featured in the last Almodóvar's movie called "Julieta". 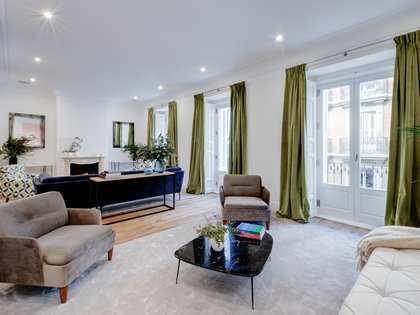 It enjoys excellent transport links having the metro stations of Tribunal, Alonso Martinez and Chueca just a few minutes' walk away. The Recoletos train station is also very close and several bus lines operate in Castellana. You will find in this trendy residential area plenty local designers shops, fancy restaurants and theaters. 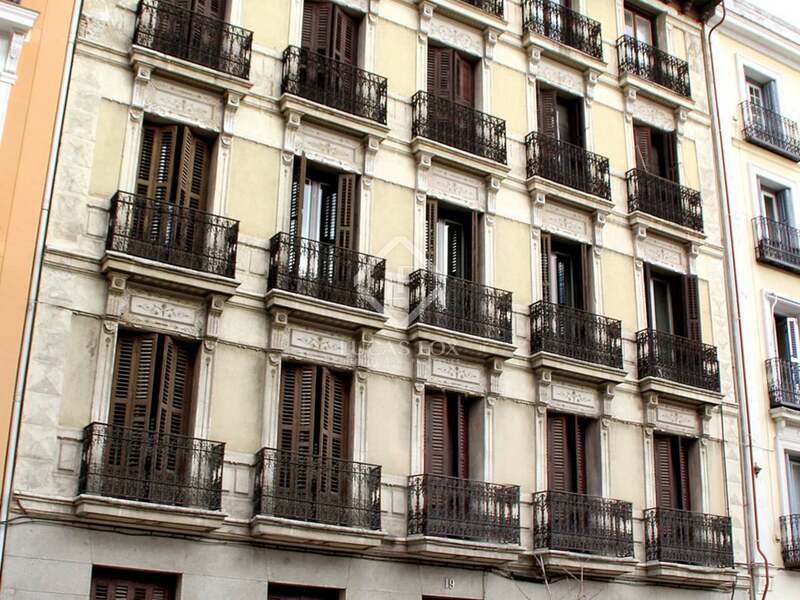 It is also very close to the main cultural attractions, such as Prado Museum, Thyssen Museum, Reina Sofia Museum, etc. 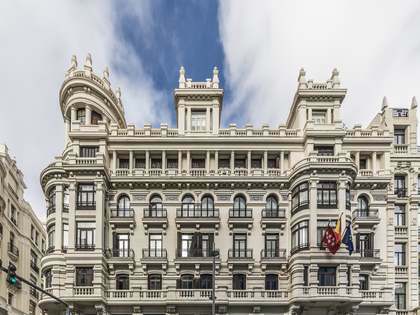 Also Banco de España, Cibeles and the Retiro park are situated nearby.